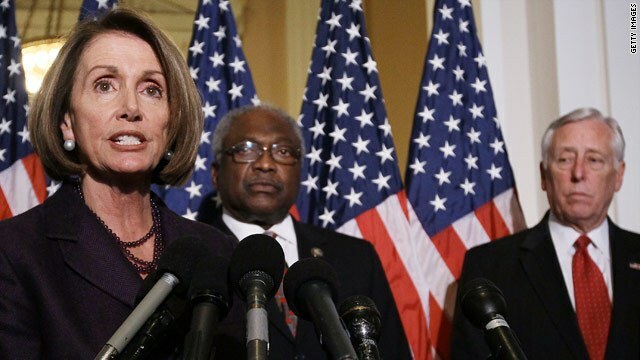 The seventeen Democrats led by Seth Moulton of Massachusetts and Bill Foster of Illinois along with numerous freshmen who have petitioned other Democrats against supporting Nanci Pelosi as Speaker of the House next January should stand down. Now is not the time for newly elected Democrats to quibble over who will lead them this next term. More time is needed to shore up our strength! No other person in recent history has accomplished more than Representative Pelosi in her House leadership. No other person strikes fear in the hearts of her political opponents who are quite chagrined at the prospects of her re-ascension in the House Speakers role because she is such a tough foe. The following observations substantiate this view Representative Pelosi’s leadership. “Pelosi faced a House so divided along party lines that she couldn’t count on a single Republican vote for legislation–which means that she had to wrangle fellow Democrats to demonstrate a discipline and unity they have not been famous for. Out of that unity emerged a record of public policy triumphs unmatched since the Great Society legislation of the 1960s, according to University of Oklahoma political science professor Cindy Simon Rosenthal. “And much of it is because of her,” says Rosenthal. “Health-care reform. Financial reform. Ethics reform. The Lily Ledbetter Fair Pay Act. A minimum wage increase. Student aid. Extending health coverage to 11 million children. Notwithstanding promises made by freshmen Congress members to their constituents to support a new person in the role of House speaker, Pelosi remains a stalwart leader who has established a solid track record of accomplishment and is still their best bet to get things done and move the Democrat’s agenda forward in Washington. Instead of spending precious time debating Pelosi’s relevance, efficacy and usefulness, which are nowhere near defeated or depleted, Democrats should lend her their support. She still has the power to effect progressive change in Washington which Democrats need as they build political momentum for the 2020 elections. Moreover, Pelosi’s leadership is necessary not only to revitalize the political brand of the New Democrats already begun with the midterm elections and the DNC, under Tom Perez and the new guard of visionary leaders, but to reestablish a vibrant legacy of crafting, implementing and sustaining meaningful legislation that will benefit their supporters and all Americans. Pelosi has the ability to align the conservative, moderate and progressive members of the Democratic caucus by giving them something in return for their support and by so doing will prevent them from splintering into warring factions which they can ill afford at this time in riding the waves of taking America back for all the people. Needed is cohesion among the democrats and not party members questioning, jockeying or vying for an inexpedient and untimely changes in House Leadership. Quite frankly it’s a poor time pick a fight with “establishment” democrats. Some battles should cease and desist to solidify party unity and create stability to win the war against Republicans whose sophomoric and lame attempts to dismantle American Liberal Democracy the last many years is a travesty of the first order. Too many examples of weak, poor and irresponsible political leaders particularly among some Republicans have flourished of late. “Time for a silencing of the lames.” Please! No more do nothing leaders. No more do America harm leaders. No more leaders overtaken by inertial forces who take forever to do nothing. We need leaders with tensile strength who can fight the good fight and stay the course when the going gets tough and know when to compromise to create a win-win situation for all. We have a strong group of freshman democrats who are gifted and committed but we need Democrats to please stand down from this fight for the time being. Nancy Pelosi should be the next Speaker of the House of Representatives. A woman warrior, she is tough, resilient, pliable, politically astute, intelligent, resourceful, compassionate, sensitive, wise; a battle- tested public servant who knows the ropes, and will weather the coming storms. Undaunted and unafraid of Republicans, she will not be bullied into submission by her political opponents and possesses the power to help win the day for all Americans. Representative Pelosi deserves another chance to lead the way. The time will come when she will step aside for new leadership, but not now. Now is the time to begin grooming strong leaders for that position. Give her another chance. She did well with the first opportunity. Meanwhile as she moves back into a leadership role as Speaker of the House of Representatives, take good leadership notes on how she gets it done with your support, and when your time to lead comes, step up with the same confidence, moral courage and willingness to build solid political teams and a robust Democratic party creating a more promising future for all Americans.